Plunge straight into the heart of lively conversations with a piece that inspires progress. Turn tepid waters into warm rolling waves, as the swift design and clean lines take you places both far and near. The broadened stainless steel base further emphasizes momentum, in this piece that is both graceful and intensely ambitious. 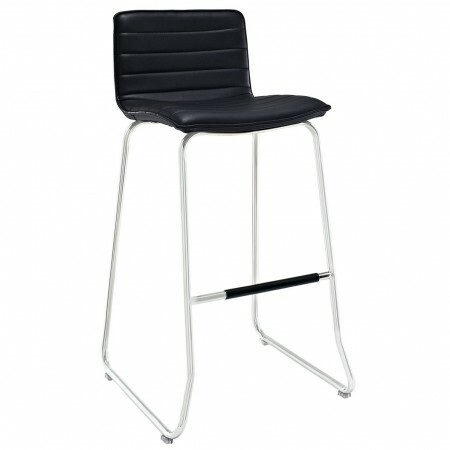 Dive black modern bar stool is perfect for restaurants, hotels and home use in kitchen and lounge areas.